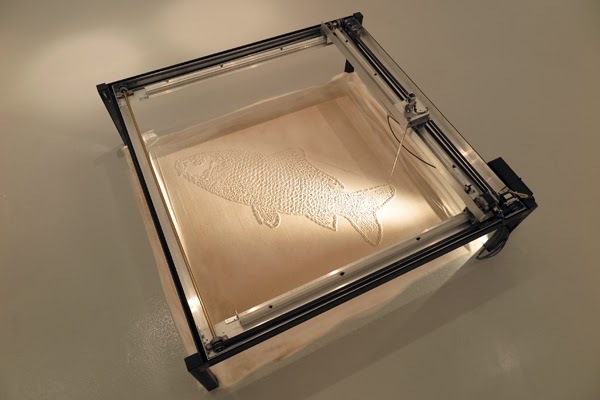 Future Regressives are futuristic fossils drawn by a mechanical printer on a mixture of sand and salt. These fossils contain many details, as if they were drawn by an extremely accurate and never fatigue hand. In contrast to the past fossils, the future regressives have a short memory. Once drawn they will be easily erased, allowing new visuals to appear and be forgotten. 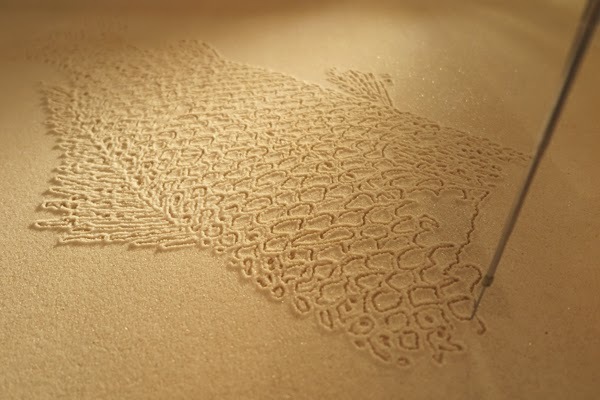 Sand Printer was built for the Venice Biennale 2014 Israeli Pavilion in collaboration with Guy Hoffman.